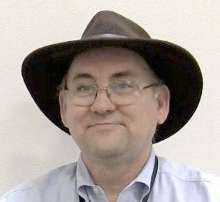 I originally wrote this (for the CSTA blog) near the start of the last school year. I have to say though that as this year ends and I am fired up about preparing for the next year is seems relevant to me now. The cover of the famous fictional "Hitchhiker's Guide to the Galaxy" reads, in big letters, "Don't panic." There isn't a definitive "teacher's guide to teaching computer science" but if there were I suspect it would have the same message on the cover. Students are back to school in some of the US as I write this and most will be back in the next week or so. As teachers we start the year with all sorts of emotions. Excitement, anticipation, and to some extent a wonder of how it will all come together. One never knows what will happen once school begins. Oh sure we start off with carefully thought out plans for the whole semester or years. Or at least we tell everyone we do. But plans change as they meet the reality of the classroom. Some years we get start students who force us to move faster than we'd planed. Other times students need a bit more attention and the plans have to be slowed down a bit. Seldom do they go completely as planned. While this happens in many subjects it is a bit different for many computer science teachers as we often have no one else in our building to go to to bounce ideas off of. We can be isolated and alone. I am here to say "don't panic" because there are resources available. You are not alone! CSTA local chapters have been growing in recent years and they can serve as a great support system. Chapters can be great sources of professional development, networking and opportunities for personal and professional growth. If you are not involved in a local chapter, it is time to get involved. If there is no local chapter, perhaps you can find some help to get one started. There are resources online as well. Are you signed up for the CSTA listserv? This is a great place to ask (and answer) questions with CSTA members. The CollegeBoard also runs an online discussion forum for AP CS teachers that is useful for more than just AP issues. You'll need to create a free professional account at the site if you don't already have one. If you're teaching AP CS the account you used for your curriculum audit works just fine. You can also find information and discussions on the CSTA Facebook page. Yes, Facebook does have educational value. This year is alive with potential. This can be as intimidating as it is invigorating but "don't panic" the best is yet to come! 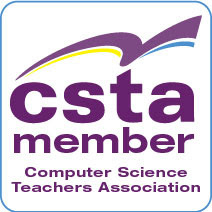 Note: This post is cross posted from the CSTA blog where I post something about every other month as part of my responsibilities as a member of the CSTA Board of Directors. I am cross posting these posts in advance as part of my attempt to take a vacation from the Internet for a few days.